My apologies for the brief blogging hiatus. 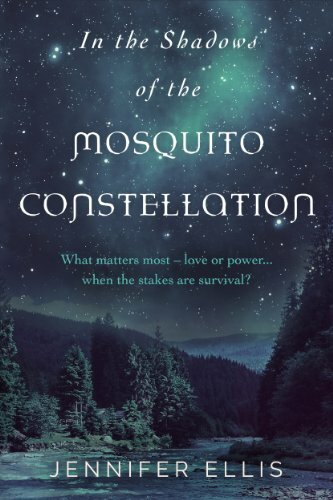 I spent the last several weeks working, watching my children’s ski competitions and finishing the final major edits to my next novel In the Shadows of the Mosquito Constellation. Given that these blog posts were getting rather long, I am going to start focusing on three marketing techniques a week instead of six and spread this series of posts over a few more weeks. Interviewing/Reviewing the work of other writers. These are all the networking type approaches. In the traditional world, knowing the right other writers and reviewers can certainly help a writer’s career, and it certainly makes those book-related parties a lot more comfortable, but do these kinds of networking approaches work in the Indie world? There are many social media groups for writers in a variety of places – Facebook, LinkedIn, World Literary Café and so on. Many writers, keen to commiserate on the challenges of writing and hoping for the benefits of reciprocal promotion, participate in them. I belong to a few myself (some of which I love, some of which I am not as excited about). Some of the groups require you to be an actual member, while others allow you to drift in and out reading posts. There are pluses to these kinds of groups. Often other writers share useful links or insights. It is occasionally interesting to hear about the days of other writers (but sometimes other writers can seem pretty whingy). In addition, when these groups are willing to engage in reciprocal promotion, such as writing reviews for each other, posting each other’s links on their own websites, liking each other’s Facebook page and buying each other’s books (the list goes on an on), they have the capacity to push a book into the top 100 in its category and get a whole bunch of other eyes on the book, which can then generate ongoing sales. Some groups also exchange services such as proofreading, beta reading and cover design. In addition, meeting the right writer (although less likely perhaps than in the traditional world, but still possible) can open the door to a whole new set of opportunities if they decide to mention your name to their own fans, introduce you to someone, or even better (and I have seen this happen many times), co-write a book with you, publish anthology with you, or release a box set with you. These can be very positive outcomes. On the other hand, these groups can be a huge time sink – they are a virtual water cooler in which you can end up spending a lot of time hearing about people’s navel gazing about their writing as well as their stapler obsessions – and in many groups you end up hanging out with writers who may or may not be producing quality work. Moreover if you accept promotion from people within your writing group, you also have to be willing to promote their work even if you do not think it is of high quality, and this can be very uncomfortable, not to mention a little bit ethically questionable from my perspective. I understand the need for indie writers to help each other out, but there is also a line and it is important to know where your own line is. Bottom Line: Participating in groups of writers and engaging in reciprocal promotion can move books and get you a bunch of positive reviews. But you have to be prepared to do the same for others even if you don’t appreciate their writing, and you then to some degree become linked publicly with writers you don’t necessarily want to be linked with. If you find a group of like-minded and like-quality writers to hang out with virtually that you are excited about promoting then by all means take advantage of this opportunity. Groups that just exchange ideas are also really useful. You may not sell books directly from groups like this, but you might learn how to sell books in other ways, and some stapler stories are interesting. If you are a writer you are probably reader, and if you are not, you should be, and chances are, as a reader, you are already on Goodreads. Goodreads is one of the best sites for making friends with other readers, and in doing so gaining more reads for your own novel. Of course you should set up an author page on Goodreads and get your book listed. You can also link your blog to your author page. These are things you should automatically do as part of your author platform (see last week’s post). But after that you should move on to actual interaction. Goodreads allows you to join various groups of readers (and groups of readers/writers) who engage in Read 4 Reviews, Book of the Month, Author of the Week, and other types of promotional activities. You can search for and join groups relevant to your book and then find the threads that allow you to sign up for a variety of promotional activities. You can also take advantage of the opportunity to write short reviews of the books you have read and build a fan base for your reviews – some of your fans may decide to check out your novel. You can add your books to lists in Listopia on Goodreads and then vote for them. The general wisdom here is that you should not put your book on any "best of" lists and focus only on a few lists that fit the genre of your book. You can also do giveaways, but that will be discussed next week. I have had some success in the Read 4 Review threads, and a few people who I have sent copies of my book to have given me positive reviews. I have also met other writers working in the same genre and exchanged useful ideas, and I have had some interesting conversations with both readers and writers regarding books in my genre in general. 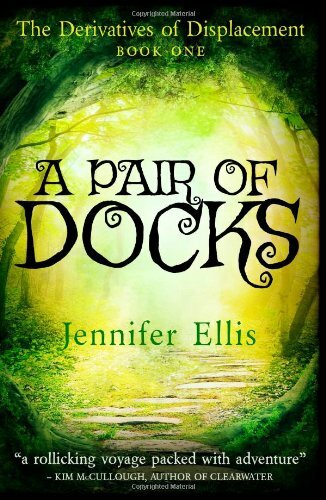 I did add A Pair of Docks to a time travel list on Goodreads, but am feeling a little leery about going too far on that front. I will probably add it to a few more lists as time goes on. I still have more to explore on Goodreads. Thomas Umstattd offers some additional ideas and I am taking a Goodreads Power User course in March from the Author Learning Centre. However overall, my experiences on Goodreads have been very positive and I believe I have at least sold a few books as a result. Bottom Line: As with anything, you can spend a lot of time on Goodreads, but an investment of some time is worth it as it does seem to result in a few sales, and it is kind of fun to hang out with people who are so excited about reading. It is possible that I am now doing semi-periodic reviews of other indie books for Underground Book Reviews (well more accurately, I have done one and have been scheduled for two more). I don’t know if this will result in book sales for me (my first review did not seem to), but it is another opportunity for exposure, and even through just the one review, which also involved an interview, I got to meet a pretty cool author, Tony Perez-Giese, and talk about writerly things and become Goodreads friends with him. He also subsequently tweeted and posted the review and interview on his sites. Doing reviews does give you a legitimate reason to approach other writers that you probably would not normally have the guts to contact (or perhaps that is just me) and learn from their approaches. Martin Crosbie swears by simply approaching other successful indie writers and interviewing them about their methods. He has found most indie writers to be totally receptive to sharing their experiences. He doesn’t generally blog about the interviews, but he shares them in his workshops, and believes he has gained many valuable insights from them. Being a genuinely friendly guy, he also seems to have made a lot of good writer friends, which has served him well. Since I am not that great at the cold call (or cold email), contacting other writers under the banner of conducting reviews for a legitimate review site allows me to potentially learn from and network with other writers (which allows for the range of benefits outlined in the section on participating in social media with the right writer). In addition, reviewing other books requires you to read more deeply and consider what works and what does not work in other people’s writing, which will help make you a better writer and reader. Bottom line: Reviewing other people’s work will probably not sell books in the short-term, but it can help increase your exposure, improve your writing, and allow you to meet cool writers, who can help your career. In the long-term if you establish yourself as a reviewer of quality, it may help move books. As always I am happy to hear about your experiences. I am still learning and will add to this post on an ongoing basis.